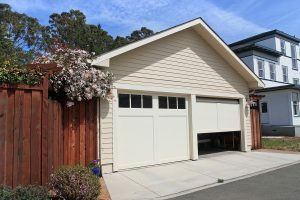 31-W Insulation is the garage door company that customers in North Charleston, South Carolina, have come to rely on for top-notch workmanship and reliable service. Since 1972, we have helped fulfill the home improvement dreams of thousands of customers throughout the Southeast. Entrusting your home to us means that only our trained and experienced employees will install your garage door. We adhere to this policy for all of our installation projects to ensure that our high standards of workmanship are always upheld. The garage doors from our company are also low maintenance to give you years of hassle-free service. Additionally, to grant you the assurance that your investment is protected, our doors are backed by robust warranties. When you reach out to us, one of our friendly team members will come to your North Charleston, SC, home at no charge to help you choose a garage door that fits your needs and budget. Then we will schedule an installation that’s convenient to you. To get started on outfitting your North Charleston, SC, home with a garage door from our company, contact 31-W Insulation today.